Please click on the thumbnails for larger image and details. 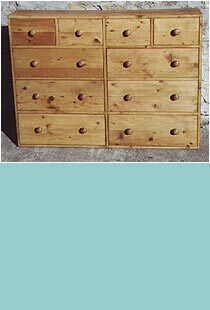 This large chest of drawers was made as a wedding gift for a customers granddaughter. It was made-to-measure to make the most of the space in an alcove.